The potato plants die during mid to late summer before they have had chance to produce a decent crop of tubers. The leaves turn yellow and dry, starting from the base of the stem and quickly progressing upwards. To confirm the diagnoses, dig up infected plants and carefully inspect the roots using a magnifying glass. Tiny (about 1mm wide) round cysts should be seen coloured white, yellow or brown depending on their maturity. These are the bodies of the female nematodes and each cyst will contain hundreds of eggs, possibly as many as 600. 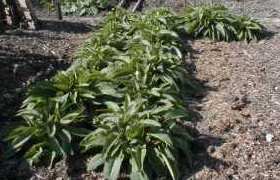 Most often the problem comes in with infected soil carried on boots, tools or plants but it can be delivered in seed tubers. Proper certified seed tubers purchased in stores or online are safe. Beware of using small potatoes as seed bought direct from a farm or swapped with another grower. They may have the nematodes at very low levels and not be aware of them. 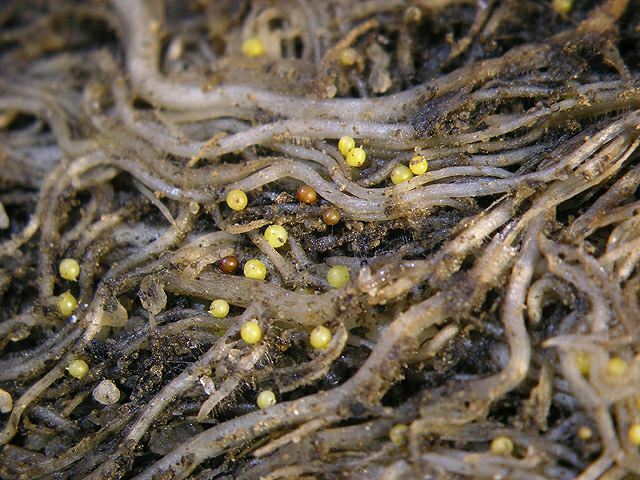 Once the eggs hatch the nematodes infect either potatoes or tomatoes or other members of the solanaceae family and produce a new generation. The density of eggs in the soil increases and after a few years growing potatoes is impossible on the soil. There are a number of chemical controls available to farmers but the home grower doesn’t have access to these nematicides. Even with these chemicals, the problem is reduced rather than eliminated. Crop rotation where no potatoes or other members of the solanaceae family such as tomatoes are grown for at least seven years will help. Shorter rotation periods such as three or four years are of practically no value. Even seven years will not eliminate the problem as the cysts can survive for 25 years in the ground. 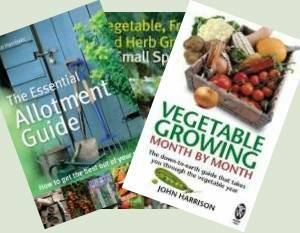 Rather than growing in the soil, consider growing in bags or barrels using clean growing media such as bought-in multi-purpose compost (see Growing Show Potatoes – Cultivation). 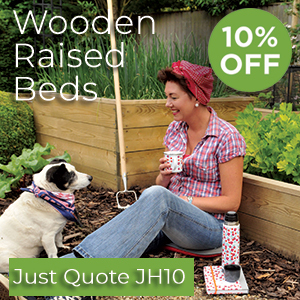 Raised beds with imported clean topsoil or chemically sterilised soil is an alternative. These methods have the drawback of being expensive compared to normal growing. L D Hills, the founder of Garden Organic, believed that growing a crop of green manure mustard after harvesting potatoes was beneficial as it secreted chemicals that confused the nematodes into growth and early maturity out of season. 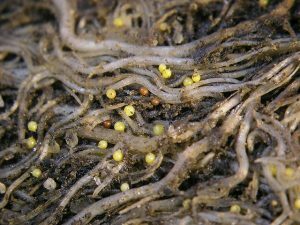 The problem here is that there are many varieties of potato that are resistant to the rostochiensis nematode such as Maris Piper which has had the effect of selecting for the pallida nematode. There are relatively few cultivars resistant to pallida and those are not highly resistant.